A 19-year-old Latvian childminder has pleaded guilty to wilfully assaulting, ill-treating and neglecting her one-year-old baby niece. In the case at Ennis Circuit Court, the teen has pleaded guilty to wilfully assaulting, neglecting, ill-treating, abandoning and exposing the child in a manner likely to cause unnecessary suffering or injury to the child’s health at an address in Ennis on May 21 last year. The teen has pleaded guilty to the charge in connection with breaking the arm of the baby. 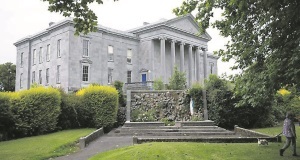 When the case was before the district court last year, Judge Patrick Durcan said that the injury that the baby sustained was “very serious” and declined jurisdiction after taking into account the age of the injured party. Det Claire O’Shaughnessy told the court that the baby turned one a day after she was admitted to hospital on May 24 last. The accused is the maternal aunt of the baby and was at the time in paid employment from her sister and partner to look after the baby and two of the baby’s siblings for a number of months. At Ennis Circuit Court today, counsel for the accused, Rebecca Treacy BL requested a Probation Report for the accused and an interpreter to be present at the sentencing hearing. Counsel for the State, Lorcan Connolly BL said that a date can be allocated for the sentencing hearing on March 25. Mr Connolly said that the sentencing will not take very long as it relates to one incident.